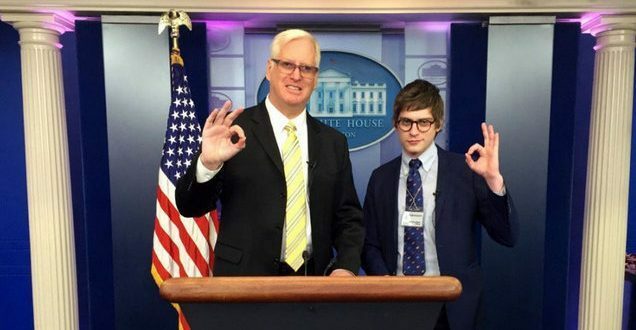 Gateway Pundit Cans Homocon White House Reporter After His Appearance On White Nationalist Podcast - Joe.My.God. Gateway Pundit White House correspondent Lucian Wintrich, once heralded as the Trump movement’s scourge of the mainstream media’s press corps, is now out at the popular right-wing blog. While Gateway Pundit chief Jim Hoft claimed last week that Wintrich’s exit had been in the works for several weeks, the announcement came right after Wintrich went on a podcast hosted by a prominent white nationalist. In reaction to his canning, Wintrich took to Periscope, where he displayed lobsters about to be boiled, naming them after Hoft and Jared Holt, the Right Wing Watch columnist who first reported on the podcast, which included a discussion of the “scientific” IQ differences between the races.